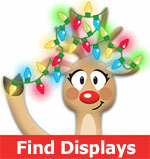 This is turning out to be a record year for new displays being added to our free database at ChristmasLightFinder.com. It seems that more homes, towns and businesses are getting into the decorating experience. Who can blame them? 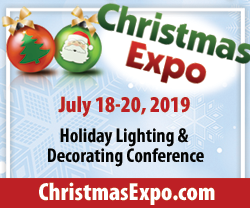 Have you seen all the wonderful new lights and display items in the stores and online? Even solar lights are a hit this year. Myneighbor has several sets of solar lights on her shrubs and not only do they look nice, but the power lasts until the wee hours of the morning. No one was more surprised than I was!